Once in a blue moon you read a book and just know it will be a classic. It may have a certain aura before you even flip open the cover, and once you begin reading you can't help but feel connected to the future generations who will still be reading this book, still feeling the same impact. John Green's new book, The Fault in Our Stars , simply reeks of lasting literary significance. Reading it for the first time was like reading Sherman Alexie's Absolutely True Diary of a Part-Time Indian or Marcus Zusak's The Book Thief- I knew I was reading something immortal. In other words, it's a good book. Hazel Grace is experiencing the side effects of dying, and she has been for years. When she 12, she was diagnosed with a terminal type of cancer, and while she has worked hard to fight it, she know that her fate is inevitable. Yet, here she is, 17-years-old, on a new type of drug that is doing a fairly good job of keeping her alive, and she suddenly finds herself dealing with the side-effects of living as well as dying. Like falling in love, imagining a future for her friends and family, and doing whatever it takes, even hauling her oxygen tank to Amsterdam, to satisfy her ravenous curiosity. Yes, The Fault in Our Stars is a book about kids with cancer. It's a book about dying, but only in as far as dying is a side-effect of living. Hazel has figured out how to live with humor, honesty, boldness and tenderness. Read this book and she will become your hero! Since this is the last week of Arbor Month, we'll be celebrating with special tree and arbor stories at Preschool Story Time and Family Story Time this week. On Thursday April 26, children ages 3 to 6 are welcome to attend Preschool Story Time as with stories and sing songs about trees. 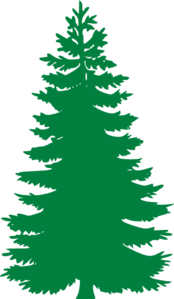 Following the storeis and songs, each child can make and decorate their own three dimentional paper pine tree. On Friday April 27, children ages 0 to 6 are welcome to attend Family Story Time with tree and arbor stories. Following the stories, each child can make their own special tree collage. 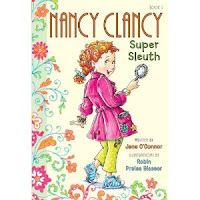 So many young patrons just LOVE Fancy Nancy!!! She's got picture books and early readers, now she's coming out with chapter books in April! I'll be ordering lots of copies for the library, so start placing your holds now! Click here for a direct link to the catalog for the first book in the series. In the mean time, here's an interview for all you parents out there to learn more about the creator behind all the fanciness, Jane O'Connor. Click here to read the article Q & A with Jane O'Connor from Publisher's Weekly. Now say that 5 times real fast! 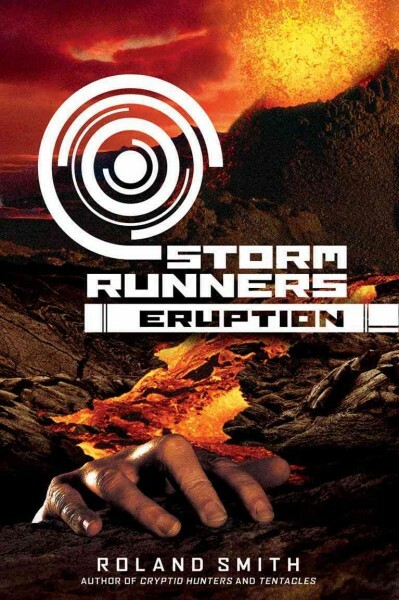 It's rather timely to be reading about the eruption of Popocatepetl in the news considering I just finished Eruption, the last installment of the Storm Runners series, by Roland Smith. What a great way to tie in fiction with a real world current event! I've already blogged a couple of times about this series; it's a great one for reluctant readers. A quick, easy read full of excitement. The first two books take place during a hurricane in Florida, and the last one is all about an eruption of Popocatepetl. Doreen Cronin's books just crack me up. I love how she makes her animal characters come to life and gives each one their own distinctive personality. I discovered the joys of Dooby, Dooby, Moo when it was released as an audibook kit (book with CD) in 2007. Randy Travis narrates the story as Farmer Brown prepares his animals for the local county fair. What he doesn't know is that the animals are preparing for the talen show at the fair and practice in the barn while Famer Brown is asleep at night as Duck wants to win the competition to get a new trampoile. The music and sound effects on the CD can't be beat! It's pure entertainment at its best! That's why it was given the honor of inclusion on the 2008 Children's Notable Sound Recording's List, which is sponsored by the Association for Library Service to Children, a division of the American Library Association. It is also a 2008 Odyssey Honor Audiobook too! Most of you may already know that April 15th was the 100 year anniversary of the sinking of the R.M.S. Titanic. In honor of this historic event, why not stop by the library and reflect upon this moment in time through one of our displays of Titanic books and reproduced memorabilia? Adult books and materials are on display in the library lobby and children's and teen books are on display in the children's room in the cube display located next to the Puett Room. There is also another display on the 2nd floor next to the adult reference desk that highlights new adult titles, which also includes a bibliography of these new books. This recently published book (2011) presents the true story of the building and launching of the Titanic and offers a "you are there" feeling when the steamship struck an iceberg and sank on her maiden voyage. Cut-away illustrations feature stories of real-life children who sailed aboard the Titanic on the night of its disaster in the North Atlantic. I could look at the illustrations of this book for hours, as it's so enthralling to study each room displayed on the ship. From the Dear America Series, Margaret Ann describes in her diary how she leaves her lonely life in a London orphanage to become a companion to a wealthy American woman, sails on the Titanic, and experiences its sinking. This is a wonderful historical fiction read for chapter book readers that has enough simplicity without being too overly detailed. Told through multiple voices, this recreated fictionalized accound of the 1912 sinking of the Titanic as it is observed by millionaire John Jacob Astor, a beautiful young Lebanese refugee finding first love, "Unsinkable" Molly Brown, Captain E.J. Smith, and others including the iceberg itself. This offers an on-board tour with fascinating descriptions and anecdotes, archival photographs and memorabilia, and a host of evocative period paintings and illustrations, complete with directions for hosting a Titanic-themed dinner. This coffetable style book contains a great number of illustrations and paintings. It's worth taking a browse through. A historical fiction book about a spirited young dressmaker who survives the sinking of the Titanic only to find herself embroiled in the tumultuous aftermath of the tragedy. On Sunday April 15th, come to our next Weekend Adventure to celebrate National Library Week and to make your own book! We'll have all the materials that kids ages 5 & up will need to design, bind, and write their own book. Kids will be able to construct and decorate a simple book, design a bookmark, or write and illustrate their own story. Come see us in the Puett Room to get your creativive juices flowing from 1:30 p.m. to 2:30 p.m. 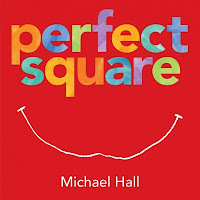 In my opinion, Perfect Square, by Michael Hall, is the perfect picture book. I recently discovered it and brought it home to my 4-year-old. We normally talk a lot while we are reading, but the first time I read this book to him, he sat there with a scowl on his face and didn't say a word. I loved the book and was disappointed by his reaction. After I finished, all he said was: "I really like this book. I don't want to return it to the library." Since then, we read it pretty much every night before bed. What I now realize was that the scowl was actually a very serious look of concentration, and he was just very focused. The square has 4 equal corners and 4 equal sides. It's perfectly happy. But then someone comes along and cuts it and pokes holes in it, and it's not perfect anymore. But instead of getting all upset, it makes itself into a fountain. Each day, something different happens to it, and each day, it changes itself into something great. Eventually, the poor square sits and waits for somebody to do something to it, but nothing happens. Suddenly those 4 perfect corners and 4 perfect sides aren't so perfect after all. 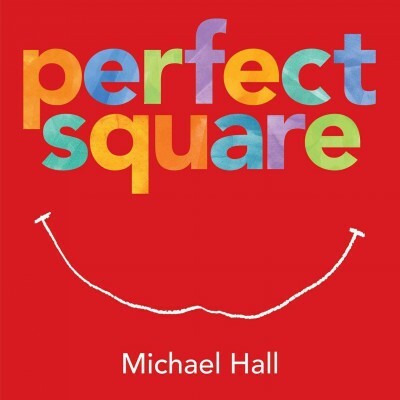 But don't worry; the square figures out how to be happy in spite of the rigid corners and confining sides. LOVE. THIS. BOOK. Can you tell? Our next SUPER TUESDAY event will be held on April 10th. Immerse yourself in the music, history and beauty of Polynesian culture with a Tahitian dance performance. View and explore traditional instruments and costumes and participate in a spectacular finale you don't want to miss!!! Be sure to join us in the Community Room at 7pm! 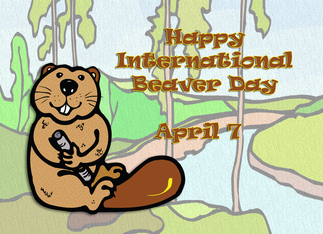 We had a great turnout to celebrate beavers today for International Beaver Day, and we could not have asked for better weather after our very wet winter and spring. Lori Kruse, the education and outreach coordinator for Tualatin Riverkeepers, taught us about beavers and led us on a hike of the Fanno Creek Trail. We got to see several beaver chews, a muskrat slide, and a live frog. Thanks for a great day, Lori! 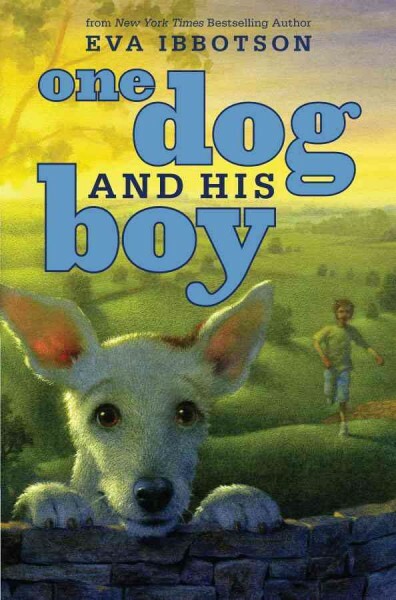 I just finished One Dog and His Boy, by Eva Ibbotson. It's a sweet story about a boy who has everything in the world he could want or need except for a dog. Hal's uppity parents agree to get him a dog for his birthday; what they neglect to mention is that they just rented little Fleck, and when they return him, the betrayal drives Hal over the edge. He hatches a plan to get Fleck back. He and his soon-to-be friend, Pippa, embark on a journey with Fleck and a few other rental dogs to save them from the life of not having a real home. Not only do we get to hear from Hal and Pippa's points of view, but we also get to know what the dogs themselves experience. A very sweet book with a very happy ending! I would recommend for about 3rd grade and up. If this book appeals to you, you might also look at A Dog's Life: The Autobiography of a Stray, by Ann Martin and for a little younger audience, the Down Girl and Sit series, by Lucy Nolan. Saturday, April 7 is International Beaver Day! Join us at 1:30 in the Puett Room to learn all about our tree-chomping friends, make your own nature journal, and join the Tualatin Riverkeepers for a wetlands hike behind the Library. We’ll hike rain or shine, so bring your rain boots! This program is for ages 5 and up. Tigard Public Library will be the kick-off library this year for the 8th annual Hearing Voices Storytelling Festival, which runs April 7-14 during National Library Week. This year National Library Week will be clebrated with the theme "You Belong @ Your Library..." The storytelling festival features professional storytellers representing 13 performances throughout the week at libraries across Washington County. The kick-off will be on April 7th at 1 p.m. in the Community Room with performances by two of the featured storytellers, Leslie Slape from Rainier, OR telling a story called " The Honeygirl" and Habiba Addo from Portland and originally from Ghana with the telling of "Sugar Cane--A Caribbean Rapunzel". 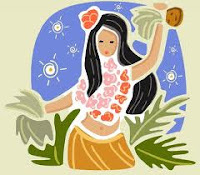 Click here for a complete schedule of events and for additional information regarding the festival, which also includes a storytelling workshop and a story swap at the Tualatin Public Library on April 14th. Admission is free and the program is designed for adults and children ages 6+. April is National Arbor Month, so come celebrate with special activities and events at the library and with the City of Tigard! We'll have a special display of books in the children's room with some take home acativity sheets and an Arbor Day Family Storytime on April 27th. Check out the April Cityscape (pages 1-2) for a complete listing of city sponsored Arbor Day events or check out the city website.